Ryan Siddons was born and raised in Knoxville, Tennessee. After high school at Farragut, he graduated from Middle Tennessee State University with a degree in Marketing. Ryan has spent many years working in customer service and understands what is needed to provide excellent service in the world of home care. Ryan’s passion to make a difference in the lives of seniors started with his own experience with his grandparents. Ryan watched as home care companies in his community made fumbling attempts at providing care for his grandparents. Through his personal experience, Ryan saw the need to provide reliable, compassionate and affordable care to seniors like his grandparents. From 1 hour to 24 hours of care, Ryan is dedicated to providing the very best care so you can rest assured that your loved one is getting the care they need. 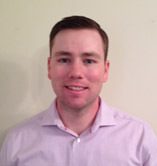 Contact Ryan today to learn more about his commitment to reliable senior home care. David Vick was raised in Gatlinburg, TN. 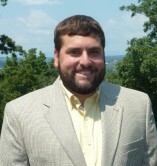 After high school at Gatlinburg Pittman, he graduated with a marketing degree from Middle Tennessee State University. Throughout his career, David has been involved mainly in vacation and commercial real estate before taking advantage of an opportunity to help people through Preferred Care at Home. It has always been a passion for David to help people by volunteering. After seeing the opportunity to make a difference in the life of seniors, he realized this was the path for him. There is no better job than waking up every morning knowing you can make a positive difference in someone’s life. This can be done by providing reliable, compassionate and affordable care to seniors. From one hour to 24 hours of care, David is dedicated to providing the very best care so you can rest assured that your loved one is getting the care they need. Contact David today to learn more about his commitment to reliable senior home care.